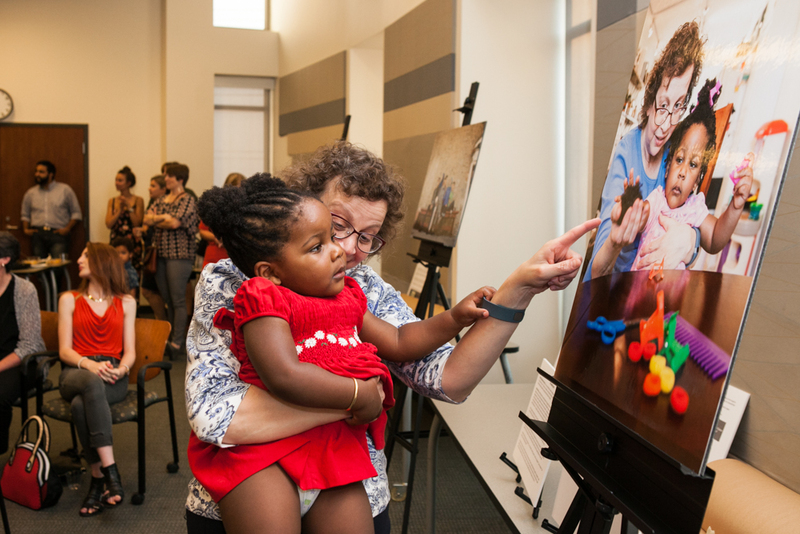 Typical American Families has partnered with community organizations to create two distinct photo exhibits. Learn how you can bring the photos and stories that make up this traveling photo exhibit to your community. Through powerful visuals and storytelling, our newest photo exhibit features the ethnic, generational, and geographic diversity of both blood and chosen families from throughout Georgia to depict their lived realities. The message for legislators is that there is no typical American family and policies must reflect the state’s diversity. In partnership with Feminist Women’s Health Center, Racial Justice Action Center and SPARK Reproductive Justice Now we are urging legislators to sign on to the Strong Families Resolution (HR 746) which highlights urgent issues affecting all families and commits legislators to doing something about them. Alma is graduate of Lifting Latina Voices Promotoras Training, a program of Feminist Women’s Health Center that empowers metro-Atlanta Latinas around their sexual reproductive health. I think that we are all unique. Being united is something that is very special for me. Being a friend and being a mom is something very special to me. We always have faith and know that everything has a solution. I feel like we are a Latina familia. I speak 3 languages. I speak Spanish, English, and my native language on her mother side. I don’t speak a lot of English, but I know the basics. My children can speak Spanish and English. The oldest one can actually count to five in our native language. WHAT BRINGS YOUR FAMILY THE GREATEST JOY? Playing together and riding bikes. I like watching detective and police shows, “Caso Cerrado” (Case Closed), and Animal Planet. WHAT IS YOUR FAMILY’S GREATEST CHALLENGE? I feel like we are not always welcome, especially in some places like hospitals and restaurants where I can tell people are looking at us because we look Hispanic and because of our skin color. It doesn’t make me feel appreciated or welcome. It just doesn’t feel right, but I have to agree, that not everybody is like that. It is also very hard for us not being able to have papers. It gets hard over time, especially with single mothers and not being able to have a job. Not having documents and not being able to have a social security code actually puts us in a position where we can’t get things in the United States. IF YOU COULD CHANGE ONE LEGAL POLICY RIGHT NOW THAT WOULD IMPROVE THE LIFE OF YOUR FAMILY, WHAT WOULD IT BE? Deportation is breaking families and not being to have a license, social security numbers, or papers keeps up from bettering our situation. Our families and our communities are living this life every single day. I hope these problems will get fixed. I want legislators to know that we are here to have a better future and to offer a better future to our children, families, and countries. We are not here to take anything from anybody. We are not to trying to take advantage of the system or the benefits. We are just here to be better because this is a beautiful country. We are here to work and to offer a better future to our children and to work at anything that is available out there. This better life for my children is what I hope for. I also hope to have the opportunity to fly my children out to Guatemala. I have told them how beautiful it is. I have taught them about the food and the different customs that we have in the region I am from. Bianca Campbell is a writer with Echoing Ida, a program of Forward Together that supports the leadership and amplifies the voices of Black women. She is also on the board for health services fund Access Reproductive Care - Southeast. My family is biological and chosen. Here in Georgia, it consists of my mother, my sister, my close friends and my partner. My chosen family is based on our political identities in social justice. We've built thriving organizations together, rallied, protested and taken care of each other in very meaningful ways over the last five years. 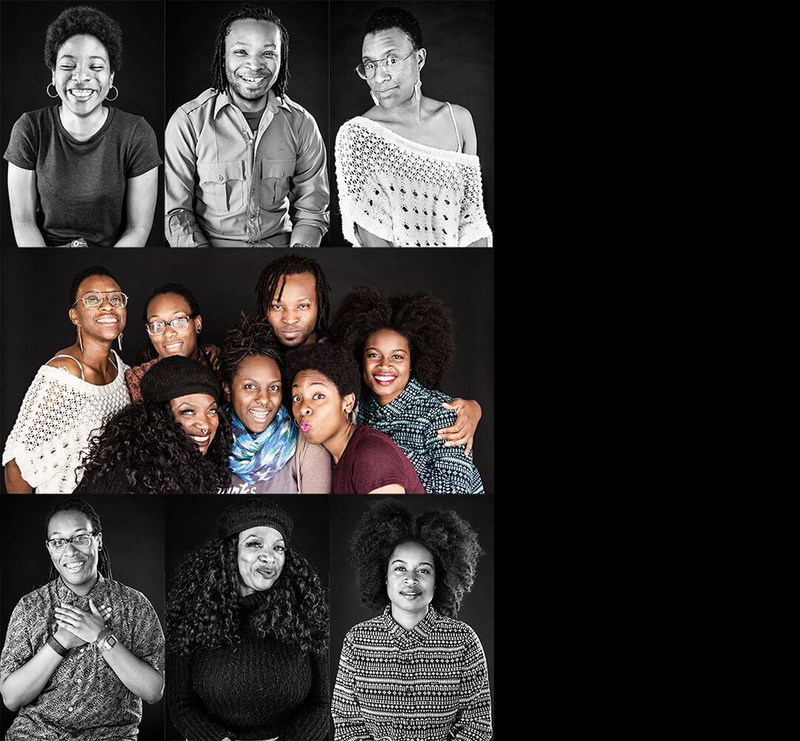 We're unapologetically Black, queer, feminist, and loving. We want to see liberation within our lifetime. So we fight, but we also indulge. In the spirit of Alice Walker's "In Search of Our Mother's Gardens," we are the ones our ancestors have been fighting for. Our joy, our days off, our travels, our days lounging in the park, our artistic pursuits are what our ancestors fought for. We must honor that while continuing the fight--knowing that without self-care we cannot win. So it is days when we can spend time together, count our wins and vision for the future. WHAT IS YOUR FAMILY'S GREATEST CHALLENGE RIGHT NOW? My entire family is reconfiguring. Navigating getting older, having children, loosing jobs, relocating, gentrification/push out. Affordable housing and health insurance impacts us the most. I want to keep our Jamaican traditions of elder care, where my mother eventually lives with me, but as Atlanta's prices skyrocket, I'm not sure that's possible and I'm not sure what a healthy, holistic alternative is. Plus, most of my political family does community organizing unpaid. We want to be able to continue doing meaningful work, but so many of our talented folks can't afford to live here any more-- and when they get sick, it's a wrap. Expanding Medicaid changes that. Abortion access barriers also top the list. It’s why we started Access Reproductive Care - Southeast last year. Again, this is unpaid/uninsured work we’re doing so that others get the healthcare they deserve. WHAT IS YOUR HOPE FOR YOUR FAMILY'S FUTURE? Safe and accessible housing, free healthcare, meaningful access to reproductive healthcare/all care. A world where #blacklivesmatter. Ms. DeeDee is the Executive Director of LaGender, Inc, a member organization of the Racial Justice Action Center and a co-anchor of the Solutions Not Punishment Coalition (SNaP Co). I learned early in my transition that family means to me the people in your life that choose to love you and not because of biological means but because they are choosing to love me as my self, so my family is very diverse, I have 6 God mother's, 0ver a hundred children, 25 grand children and 12 great grand children who all chose to call me mother or mama Dee. 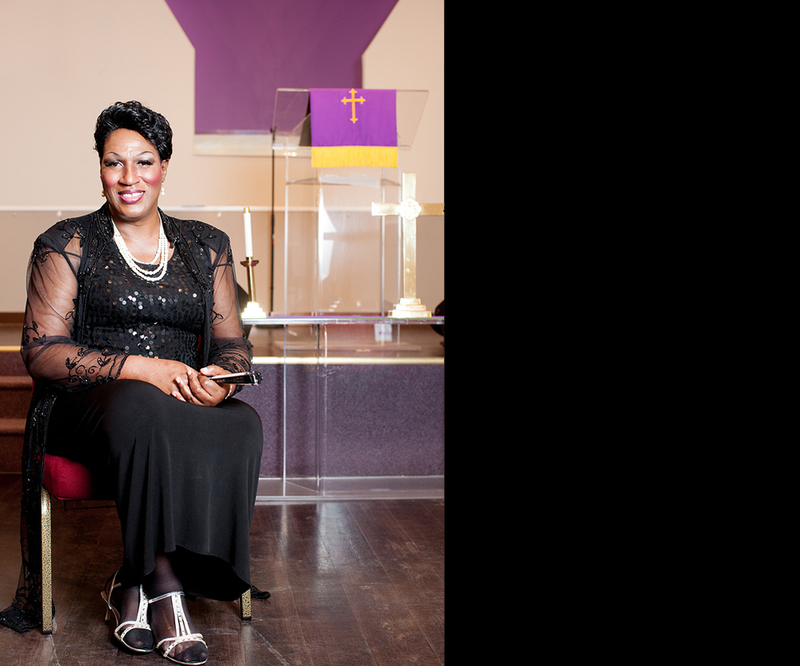 Most of my children have a spiritual connection with God as I do and also attend Tabernacle Baptist Church, which as a ministry of Love and Acceptance, we created the 1st Trans Ministry in a Baptist Church. Having dinner together after church, playing card games, telling stories, watching the Color Purple, some times impromptu talent shows Lamour. Police profiling, mass incarceration, homelessness, access to healthcare, and unemployment. IF YOU COULD CHANGE ONE LEGAL POLICY RIGHT NOW THAT WOULDIMPROVE THE LIFE OF YOUR FAMILY, WHAT WOULD IT BE? Medicaid expansion, End Mass Criminalization and Incarceration. These discriminatory policies have torn our families apart because its like you are being punished for being different. My hopes are that one day we are treated with respect and given an opportunity to be all that we can be, we are doing that now but other people get the credit for our work whether it be hairstyling, makeup artists, clothing designers, authors, musicians etc.... oh and see a Trans 1st Lady! 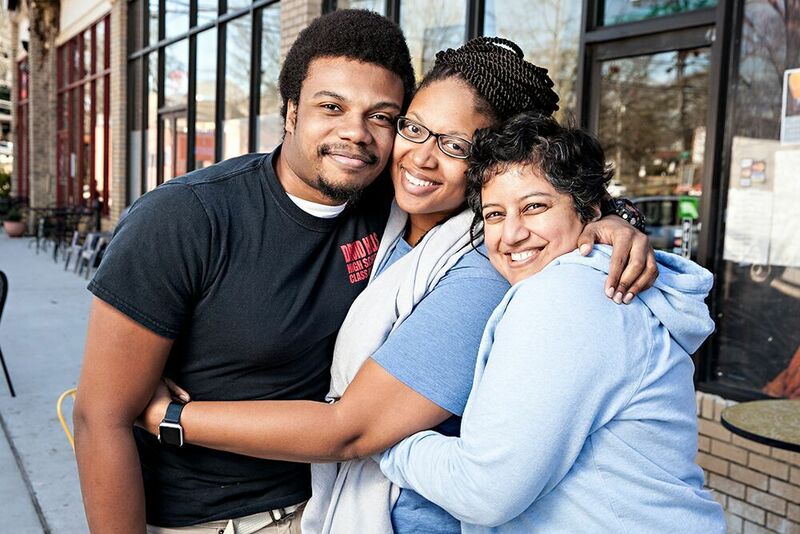 SPARK RJ Now builds leadership and changes culture in Georgia and the South to advance reproductive justice. Tishana has served on the board for almost 4 years. Awesome people: 2 amazing students, 2 hard working parents! Arin is currently a Senior at Columbia College in South Carolina, and Sean is a first year student at Kennesaw State University. We are so proud of both of them! We really enjoy hanging out together. We love to kayak, bike the Silver Comet Trail or just walk our neighborhood. We did the Peachtree Road Race together last year. We also spend holidays with extended family, here in Atlanta, and out of town. We went to the Grand Canyon in mid-2015, and had an awesome time exploring Arizona by car. I think we learned a lot more about each other that trip, and thankfully, we all came home with smiles. We also love to argue over which restaurant to choose for lunch or dinner (*sarcasm*). Our recent greatest challenge is managing everyone's needs. Arin, being a senior in college, is worried about finding work in her field. Sean was a little slow on the ball enrolling in college, and was working part-time until school started. Tishana is still learning a lot on the job and managing multiple projects, and Deepali has an aging parent and is running her software business. We are all busy, and it's hard sometimes to find time to spend together. We're especially thankful for the slowdown of the holidays as it allows us to be in each others company. Single-payer universal health care. The Affordable Care Act falls short of meeting our family's needs for healthcare. Single-payer healthcare would alleviate the very high cost of healthcare for us. Tishana: I hope that we can continue to grow closer as a family. Now that our kids are adults, they face a new set of challenges, and I really hope that we've given them the best tools for facing those challenges. Deepali: I also hope we remain close and continue to care for and about each other. Ms. Marilynn is a Lead Organizer with the Racial Justice Action Center's grassroots program, Women on the Rise and a co-anchor of the Solutions Not Punishment Coalition (SNaP Co). My family is complicated. It’s been that way since I was a teenager. We have a great family dream of being together and loving watch other but we fall short of that. I think it is because of my early incarceration prevented me from giving them the kind of life I wanted to give them. And they followed along that same path that I did. My son is now incarcerated, I think unjustly, my girl has been incarcerated, but she is home now. We only talk in emergency really, but sometimes I reach out to her because I miss her and I think she does the same thing. I wish we had a closer mother daughter relationship, but we don't have that now. It is really sad to me. My son will be 44 tomorrow, my girl is 47, and joy is when they were small. As adults we haven't seen much joy, because they have been in and out of the system. They have seen me improve my life, volunteer, and I thought that I could pull my daughter into that, but she needs money and thinks volunteering doesn't pay. But I think it can invest in our future in a way that money can't pay for. And can lead to getting a real job and position. Being able to ban the box, and break a barrier, as a black woman. I was hoping I could get them into this life as well, but they want to do what they want to do. We need to ban the box. I had some really good jobs. But I had to lie about my background to get the good jobs I had, but because of the background, as soon as they found out about it, I was terminated and that led to the life I am in, the struggles I was in. And I couldn't be that example I wanted to be in my children's lives and they followed that same path of being incarcerated. It would be: if people have a background, but haven't committed a crime in more than 10 years, their background should be wiped clean and they could get a job or an apartment, and they couldn't see it at all. I don't think your record should follow you for the rest of your life. I hope that we come together as a family and leave a legacy for people that have records, possibly working on that campaign I was just mentioning. Change the law that impacts not just us, but how many other families. these families challenge the notion of what the Typical American Family is. At the same time this exhibit serves as an invitation to new discoveries about not only the beauty of the spectrum of diversity but the amazing similarities that can be found among difference. 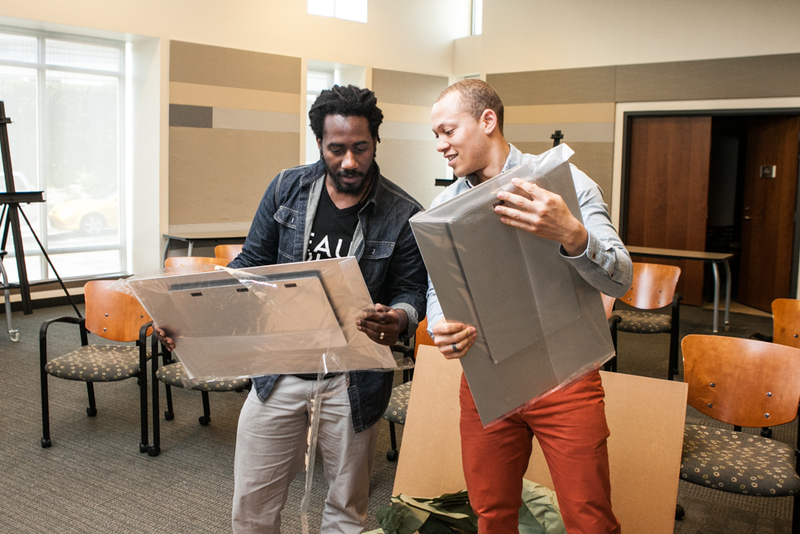 The creators of Typical American Families, Carlton Mackey and Ross Oscar Knight, are passionate about this project and in addition to installing a display would love to provide consultation, lead workshops, and speak at diversity events in conjunction with an exhibit showing. The two can also work directly with students, faculty, congregations, non-profits to help create projects of their own in conjunction with Typical American Families and its overarching BEAUTIFUL IN EVERY SHADE™platform. Interested in Displaying the Exhibit?